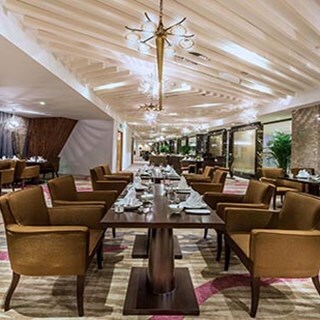 There are 10 PDR rooms and one Linghaixuan dinning hall in Chinese Restaurant. 8 rooms located at the 2nd fllor of the Building A, and the other 2 rooms on the 2nd floor of the building b, they all are sea view rooms. 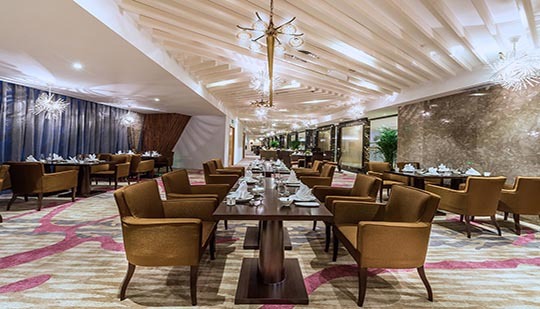 PDR rooms area is from 83m2 to 150m2, they can accommodate 14-32 people dining at the same time; The Linghaixuan dinning hall area is 710m2, and it can accommodate 100 people at the same time. All PDR rooms have private bathroom, sofa, tea table etc.